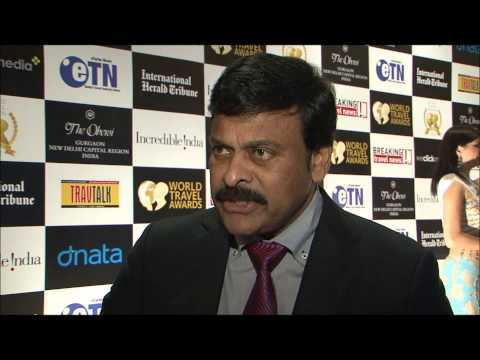 Dr K. Chiranjeevi, minister of tourism, India, speaks to Breaking Travel News at World Travel Awards 2012 Grand Final Gala Ceremony in Delhi, India. Ahead of the arrival of World Travel Awards in Delhi for its annual Grand Final Gala Ceremony next week, Breaking Travel News has been taking a look at what is on offer to travellers in India. Here we look at east India, travelling from the bustle of Calcutta to the cool and luscious mountains of refreshing Darjeeling. Ahead of the arrival of World Travel Awards in Delhi for its annual Grand Final Gala Ceremony next week, Breaking Travel News has been taking a look at what is on offer to travellers in India. Here we take a look at the west coast of the country, journeying from the gateway of Mumbai to the beaches of Goa. Ahead of the arrival of World Travel Awards in Delhi for its annual Grand Final Gala Ceremony next week, Breaking Travel News has been taking a look at what is on offer for travellers to India. Today we take a look at the north of the country, travelling along the well-trodden tracks of the Golden Triangle to the uninhabited peaks of the Himalayas. India has long been seen as the spiritual heart of Asia by generations of travellers. Now, with awareness of the limitations of western medicine growing, the destination has witnessed a revival in interest in proven ancient healing methods. While the Indian economy has been rarely been far from the headlines in recent years, the tourism sector in the country has also been quietly growing to become one of the most significant in the region. Here Breaking Travel News grabs a few moments with newly appointed tourism minister, Dr K Chiranjeevi, to see how he hopes to see the sector develop under his leadership. With such a divergence of cultures it is little wonder India enjoys a different festival virtually every day of the year. Here Breaking Travel News takes a look at some of the most colourful, authentic celebrations on earth. New Indian minister of tourism, K Chiranjeevi, has launched a new Incredible India international advertising campaign at World Travel Market. Under the headline ‘Find What You Seek’, the campaign will target the UK market. The PATA Travel Mart 2011 has closed following an in the incredible visit to the city of New Delhi, India. Also in India today, City.Mobi is celebrating the success of its new guide to New Delhi. World-famous secret agent James Bond could be about to offer tourism in India a welcome boost, with carefully placed rumours suggesting the next blockbuster could be part filmed in the country.